Ancient mosaic in an Egyptian burial tomb, circa 1400 BCE. 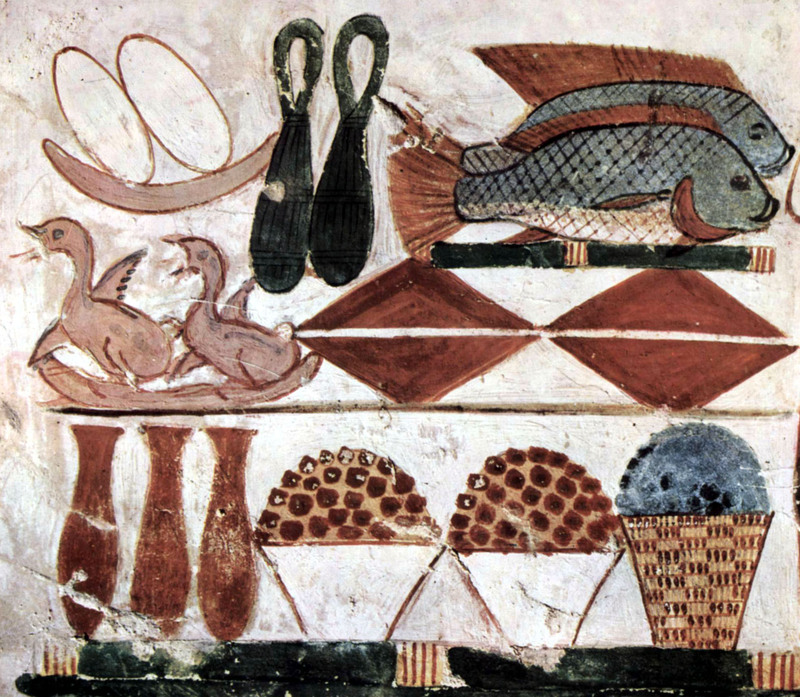 It’s National Seafood Month in the U.S., and when it comes to ancient eats, you can’t get more ancient than seafood. The bounty of the oceans has sustained mankind since prehistoric times. In fact, analysis of the lower mandible of a 40,000-year-old human skeleton, found in the Tianyuan Cave near Beijing, found the man ate fish regularly. We also have ample archaeological evidence from the Paleolithic period including shell middens, discarded fish bones and even petroglyphs and cave paintings that prove humans have been enjoying seafood since before recorded history began. So today we’re bringing you some Bon Appetit Wednesday recipes that will help you to celebrate National Seafood Month in ancient style. Each recipe is accompanied by a bit of history of the dish and its ingredients. Cook up a seafood feast for your family and friends and then dazzle them with your knowledge of the ancient past! First direct evidence of substantial fish consumption by early modern humans in China. (n.d.). Retrieved October 6, 2015. This entry was posted in Blog, Bon Appetit Wednesday, Culinary, Culture and tagged ancient food, ancient history, ancient recipes, ancient seafood, AntiquityNOW, Bon Appetit Wednesday, seafood month. Bookmark the permalink.